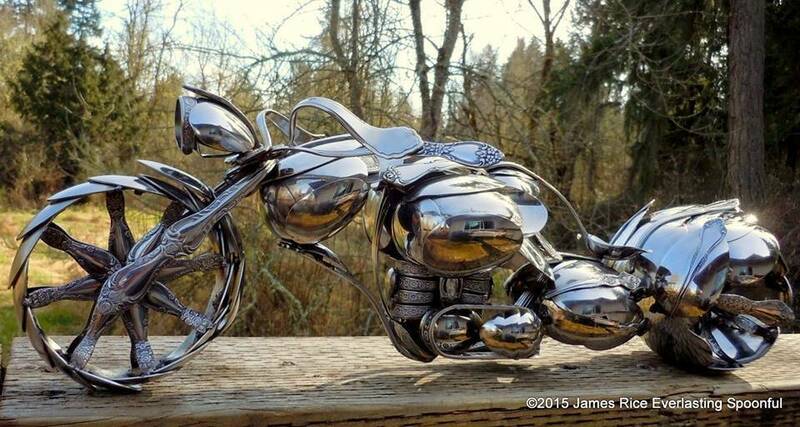 Custom Bike Made Out Of Spoons! 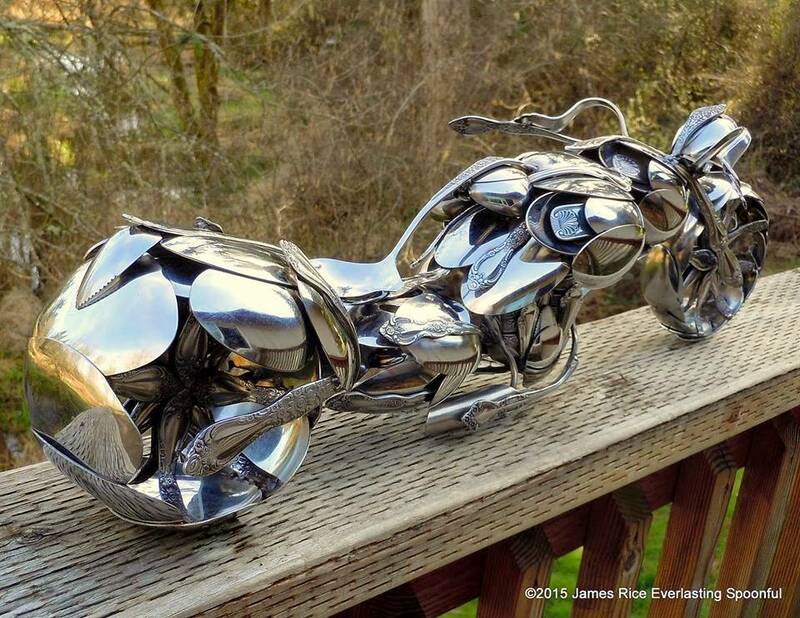 James Rice is the owner of the company Everlasting Spoonful and guess what he made his bike out of? 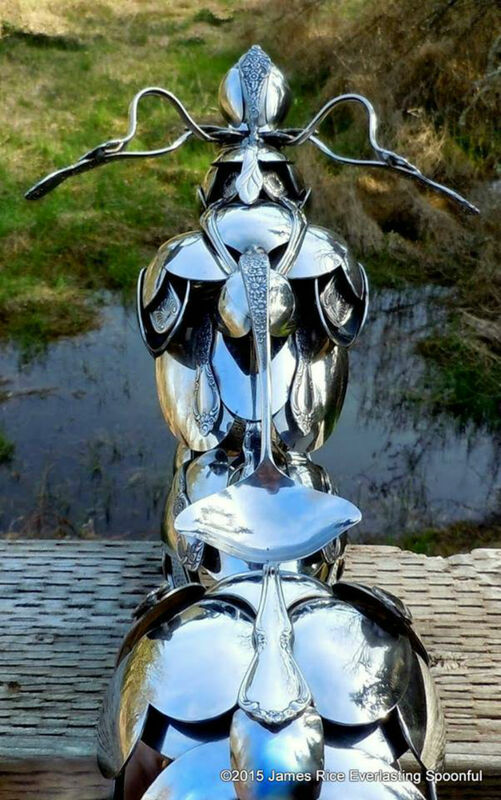 Apparently he has been making stuff out of spoons for a while now and he decided he needs a custom bike made out of them as well. 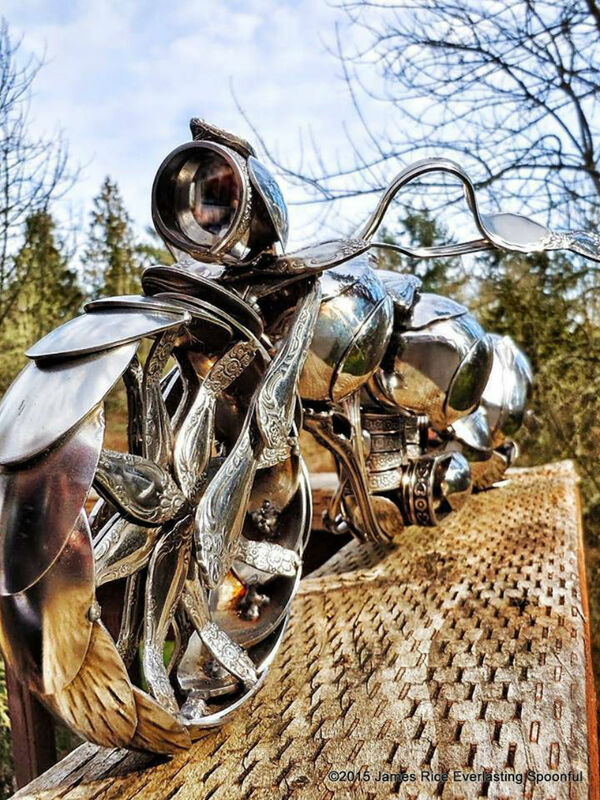 Every part of the bike is made entirely out of spoons, the engine, the tank he even made the wheels out of stainless steel spoons. 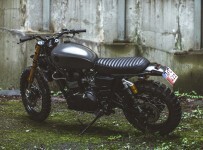 After receiving huge popularity on the internet the bike is now up for sale on Esty. 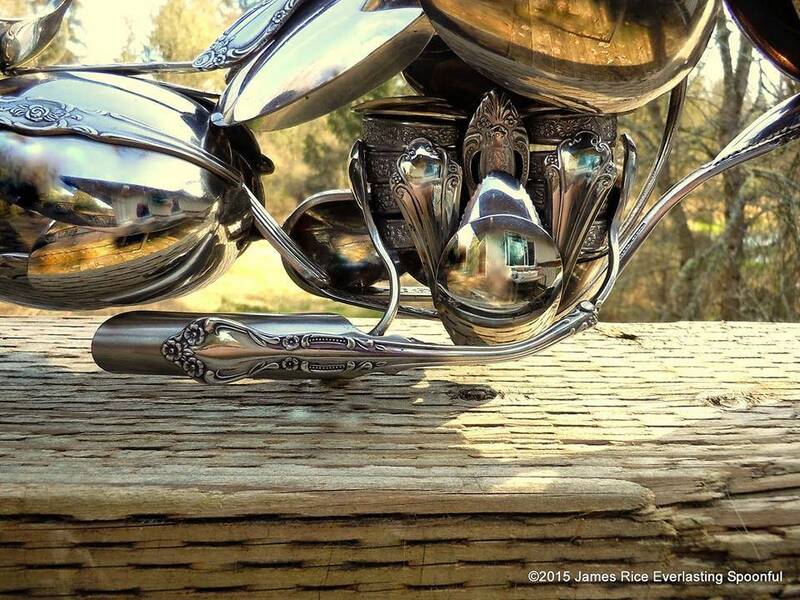 The job took several months from start to finish and although the price is pretty high we believe it is worth every dollar. 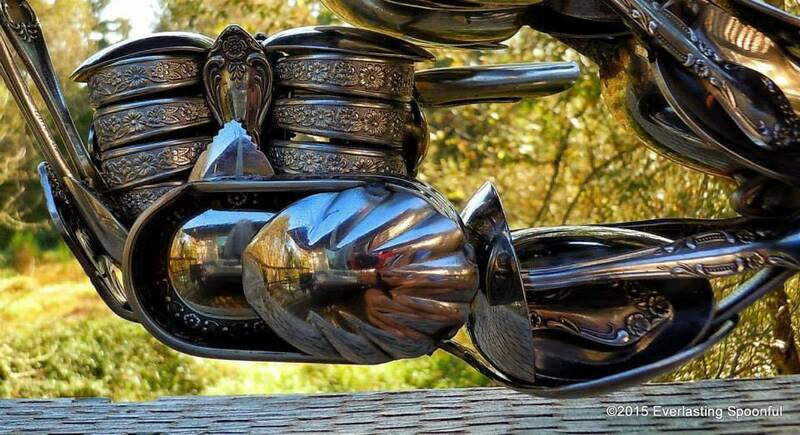 Check out the best use of utensils that you have ever seen.